Spring is the perfect time of year to start firing up the grill for family and friends. Opening up your “Backyard Bistro” to others is a great way to entertain, but only if you make it a safe establishment to visit. 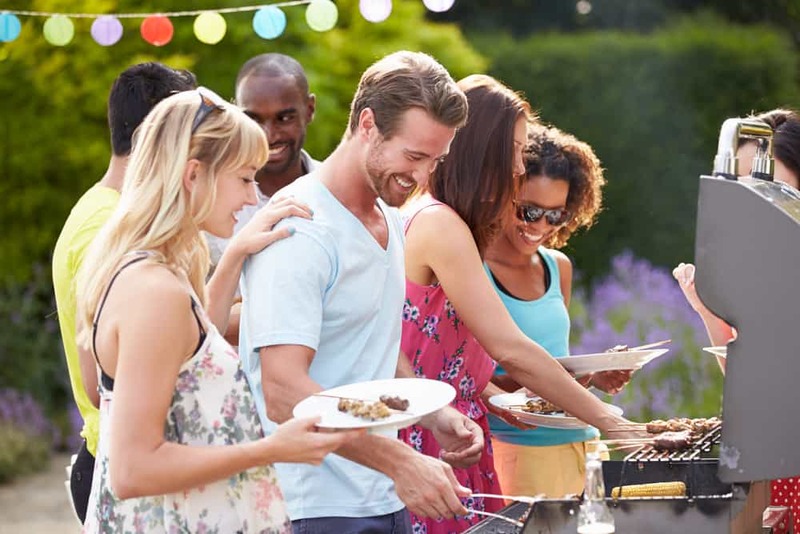 Between 2005 and 2009, U.S. fire departments responded to an average 8,200 home fires involving grills, barbecues and hibachis each year resulting in an annual average of 120 injuries, 15 deaths and approximately $75 million in property damage. Kitchenland encourages you to have a great grilling season and to learn the safe way to cook outdoors! Always read the grill owner’s manual before operating. Contact the grill manufacturer if you have any questions regarding its safe use. Only use grills outside and in well-ventilated areas. Keep away from deck railings, fences and other wooden structures. Keep your grill stable and on solid ground at all times. Be sure any electrically-operated accessories to your grill are properly grounded in accordance with local codes. Keep electrical cords away from walkways. Always use long-handled utensils, such as tongs and forks. Do not wear loose-fitting clothing, such as hanging shirt tails or frills. Avoid wearing aprons with dangling strings. Use flame-retardant mitts when adjusting hot vents. Always keep the grill fire under control and never leave it unattended. Remove the food from the grill if you must lightly spritz water to douse flames. Be sure you have a fire extinguisher handy. Use baking soda to control a grease fire. Keep a garden hose or bucket of water close by just in case. Place a grill pad or splatter mat under your grill. Keep others, especially children and pets, away from a hot grill. Never attempt to move a hot grill. Remember the grill body can remain hot up until an hour after use. Propane gas is a convenient and safe fuel, but only when used with care. Although this gas in non-toxic and produces very few harmful emissions when burned properly, it is still a gas with flammable properties. Conduct a thorough inspection of the propane tank and hoses before each and every time you light up. Apply a light soap and water solution to the hose and valve connections. If there is a propane leak, you will see bubbles form on the surface. Do not use a propane grill in the event of a leak and have it serviced by a professional before using it again.